Thank you again to everyone who pre-ordered Coastal Knits! Your enthusiasm for our project has been overwhelming! 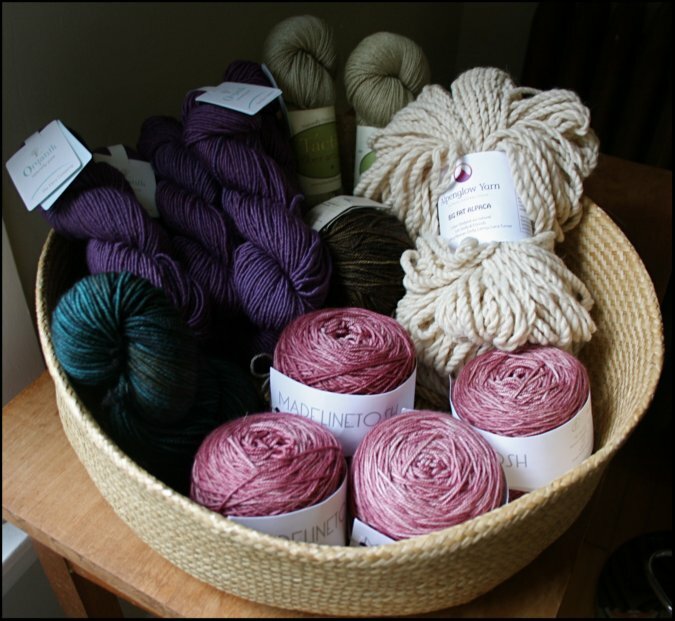 We randomly picked among the list of names that pre-ordered and Hannah and I are happy to congratulate Kathleen Moul on winning this amazing basket of yarn! We hope that you enjoy your new book and sampling the yarns that were used in our Coastal Knits projects!